The country’s first 5G-enabled video call was made using 5G Radio and Core equipment of Smart’s technology partners Huawei in Makati and Ericsson in Clark. 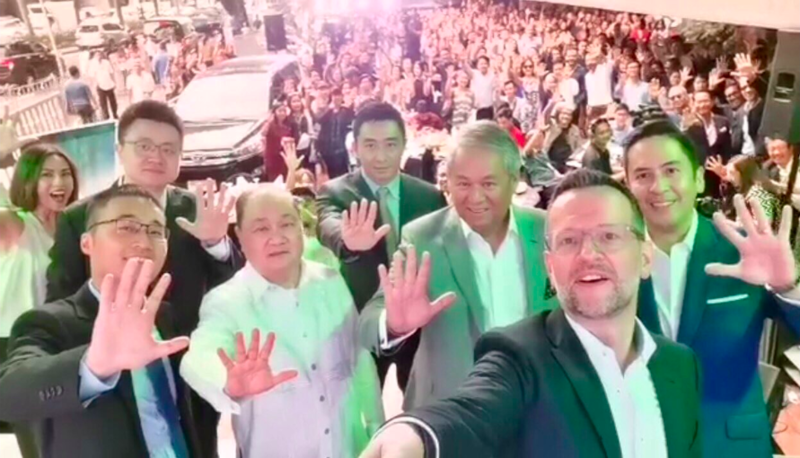 Smart Communications, Inc. (Smart) has made the country’s first successful video call on a 5G connection between the newly launched Smart 5G cities in Pampanga and Makati City. The 5G-powered video call was made by PLDT-Smart Chief Technology and Information Advisor Joachim Horn (pictured) from the PLDT headquarters in the Makati City Central Business District, to Clark Development Corp. President and CEO Noel Mananquil at the Clark Smart 5G City in the Clark Freeport Zone. “By bringing 5G to Makati, we are putting the possibilities of 5G closer to the Philippines’ premier commercial hub, which is home to the country’s most ultra-connected enterprises and workforce,” said Juan Victor Hernandez, Senior Vice President and Head of Enterprise for PLDT and Smart. Initial tests have shown that speeds of up to 700 Mbps have been achieved using Huawei’s 5G equipment in Makati. “We know 5G would be much faster than 4G—but speed is not the only reason we’re introducing 5G. The main reason is that it’s a very versatile platform for a completely new set of applications. In 5G, the focus moves from providing the pipe to providing the environment for very different applications, for a very wide range of customers, enterprises, consumers,” Horn said. Smart has been testing 5G since 2016, when it achieved speeds of 2.5 Gigabits per second (Gbps) using 100 MHz with latency of just 1 millisecond over a ‘live’ network—the first in the Philippines. As part of its 5G preparations, Smart also launched in June its 5G Technolab, the company’s flagship facility for the research and development, standardization, and testing of 5G, which is designed to be a sustainable environment for innovative services. FIRST IN 5G. The PLDT and Smart team, Huawei executives, and media guests pose for a 5G groupfie.